The Canon EOS C300 has been designed to meet the needs of the cinema industry professionals. This camera is very modular, portable, and adaptable making it a great choice for any event and renter. If you need to rent this camera you will have outstanding cinema quality video that will suprise even the experienced professionals. Not experienced? That’s okay too, we can provide videographers to assist with any photo or video need, whether that is for a wedding, concert, business, or any other events. The Canon EOS C300 is ready to go to work for you. 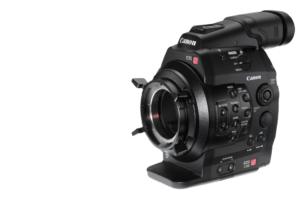 If the Canon EOS C300 sounds like a camera you need or want to rent or have the help of our videographers, contact our offices today to get a quote.